APS – February 11th, 2017. ALGIERS – The Legislative Elections of 4 May 2017 will renew the National People's Assembly (APN- Lower House) and will strengthen, as part of the amended Constitution in 2016, the parliamentary opposition role giving it the right of referral to the Constitutional Council on voted bills. The eighth legislature of the APN from 2017 to 2022 which component will be known next spring should work, in compliance with the amended constitution in February 2016. The Parliament's right of referral to the Constitutional Council on the voted bills is stipulated in the Articles 99a and 166. The parliament's control over the government is also reinforced in the Constitution amended one year ago. Indeed, the parliamentary majority shall be consulted by the President of the Republic with regard to the appointment of the Prime Minister (Article 77) and the issuance of the presidential orders is limited to emergency cases during the parliamentary recess (Article 124). The President of the Republic, the Chairman of the Council of the Nation (Upper House), the Speaker of the National People's Assembly (Lower House) and the Prime Minister shall refer matters to the Constitutional Council. Fifty members of the National People's Assembly or thirty members of the Council of the Nation can also refer questions to the Constitutional Council (Art 166). 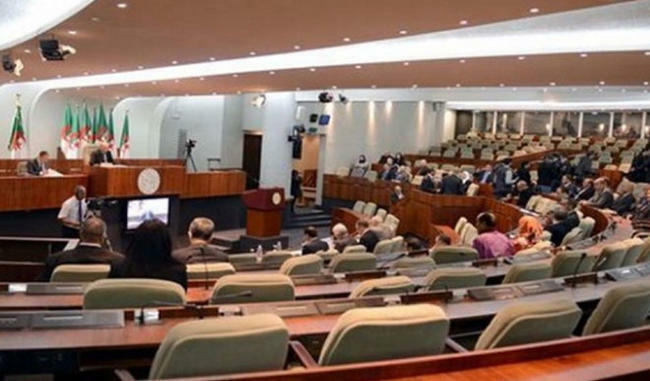 Speaking on the subject, lawyers consider that the opposition's appeal to the Constitutional Council on the unconstitutional nature of any law adopted by the parliament "will help frame the opposition action." In this regard, they said that "the integration of the opposition's action into the functioning of the constitutional institutions is likely to confer more credibility to the laws." As part of the parliament oversight of governmental action, the Prime Minister is required to submit a policy statement annually to the Lower House (Article 84). Besides, the parliamentary opposition is entitled to propose an agenda during a monthly session in each House, following the amendment of the Constitution in February 2016. It can also set up commissions of inquiry, fact-finding missions and receive the annual report of the Court of Auditors.